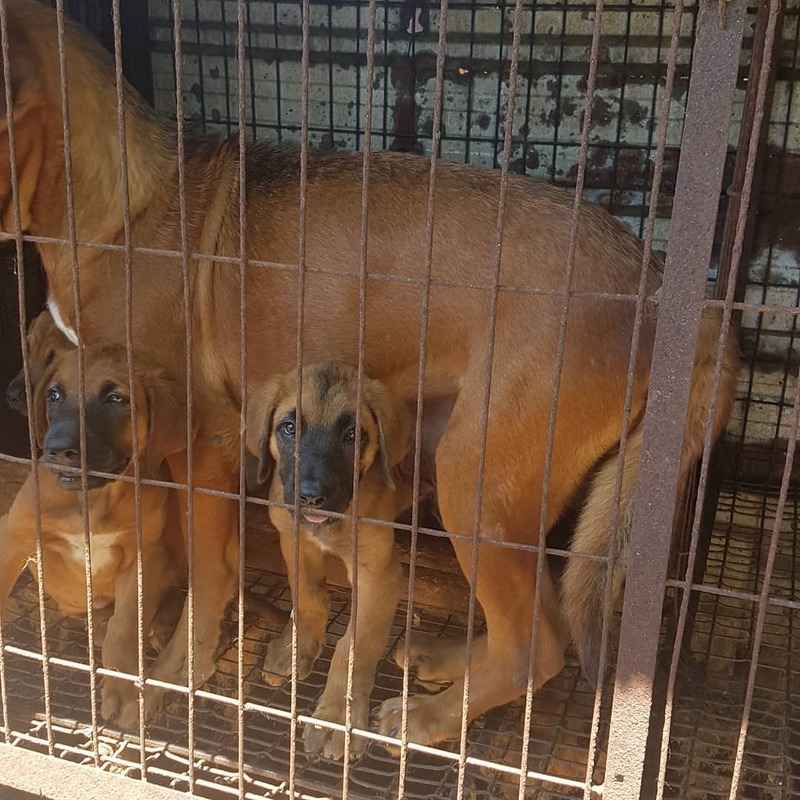 Sokcho, South Korea, Shut down the illegal dog meat farms, slaughterhouses and markets. Home / Blog / Sokcho, South Korea, Shut down the illegal dog meat farms, slaughterhouses and markets. In Sokcho, there are countless dog farms, slaughterhouses, markets and restaurants where the dogs, who are tortured their entire lives, end up being slaughtered in the most inhumane ways, such as by electrocution, hanging or beating; and then thrown into boiling water – sometimes while they are still alive. In many places, dogs are being killed in full view of other terrified, caged dogs; and this takes place in broad daylight. In addition, many abandoned and stolen former pets end up in this industry, and are subjected to the same cruelty. Video: Dog farm in Sokcho, South Korea. A Search Engine reveals the sickening scale of Sokcho’s dog meat demand. Shown below are two search results on Naver (the most popular search engine in Korea) – the first one was for so-called “Health Food Shops” which commonly sell dog elixirs and cat elixirs (also known as dog soju and cat soju); and the second one was for “dog meat restaurants”. The searches resulted in: 33 Health Food Shops; and 17 dog meat restaurants in and around Sokcho. Even if half of these ‘Health’ Food Shops and restaurants serve dog and cat ‘ingredients’ in one form or another, just imagine how many dog/cat slaughterhouses must be present in and around Sokcho in order to supply all of these outlets. Please sign petition, call, write and email the Sokcho Mayor and the City Council TODAY! Subject: Sokcho, South Korea, Shut down the illegal dog meat farms, slaughterhouses and markets. 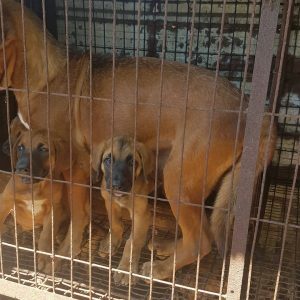 Petition: Sokcho, South Korea, Shut down the illegal dog meat farms, slaughterhouses and markets. Please watch this documentary, “The Dog Meat Professionals: South Korea” https://youtu.be/cCdTceduKcY. Unauthorized processing of food waste fed to dogs in the meat trade is a violation of the Wastes Control Act, Article 15-2, Article 25, Section 3. Suppliers of food waste and transporters of food waste to dog meat farms are violating this regulation. Food waste fed to dogs in the dog meat trade is a violation of the Control of Livestock and Fish Feed Act, Article 14, Section 1 & 2. Unauthorized collection of food waste and the act of feeding it to dogs in the meat trade is in violation of this regulation. Excrement and resulting environmental damage produced as a by-product of the illegal dog meat farm is a violation of the Act on the Management and Use of Livestock Excreta Article 11. The excrement produced at dog meat farms causes environmental damage to the immediate and surrounding area. The act of the slaughtering of dogs for human consumption is a violation of the Animal Protection Act Article 8, Section 1, Clause 4. The act of the slaughtering of a dog, without justifiable ground – such as out of necessity for veterinary treatment, or in circumstances of immediate threat, harm or damage to human life or property, is a violation. The slaughter of dogs by electrocution is a violation of the Animal Protection Act, Article 8, Section 1, Clause 1. Inflicting injury or death to any animal by the following means: battery by tools, exposure to drugs, exposure to extreme heat or fire, electrocution and drowning is subject to legal punishment. Therefore, the routine slaughter of dogs by butchers and farmers by these methods is in violation of the Act. Further, electrocution as a method of slaughter is internationally recognized as an inherently cruel method of slaughter and banned globally. The slaughter of dogs from an unauthorized slaughterhouse is a violation of Livestock Products Sanitary Control Act, Article 7 Section 1. The Livestock Products Sanitary Control Act, states that dogs are officially recognized and classified as “animals” that are “prohibited from being slaughtered and distributed as food for human consumption”. Therefore, those vendors operating dog slaughterhouses are operating outside of the parameters of the law and in violation of the law. The slaughter of dogs for his/her own consumption is a violation of the Animal Protection Act, Article 10. The intent of the Act is to ensure that no animal is slaughtered in a cruel or revolting manner, and shall be free from unnecessary pain, fear, or stress during the process of slaughter. Therefore, the only humane way of slaughtering dogs would be by euthanasia (lethal injection). All currently practiced methods of slaughter by butchers, farmers and traders excludes euthanasia as a method of slaughter, therefore they are all in breach of this Act. This is also a violation of the Livestock Products Sanitary Control Act Article 7 Section 1 Clause 2. According to the Livestock Products Sanitary Control Act, the slaughter of animals for his/her own consumption is allowed only for the livestock animals that are publically announced as classification of livestock in the Livestock Products Sanitary Control Act and dogs are not classified here. The display and sale of dog carcasses in traditional outdoor markets is a violation of the Food Sanitation Act, Article 4, 5. Violation of laws banning the sale of harmful food due to the contamination from unsanitary and illegal slaughter of the animal and display of the dog carcass. For example, dog carcasses are routinely contaminated by microorganisms that cause human diseases and food poisoning; this can lead to serious and life threatening health complications. There are also strict laws that ban the sale of meat from sick animals, due to the fact that there is no quality control or formal monitoring of slaughter practices in the dog meat trade it is very likely that violation of these laws is happening routinely. Dog meat restaurants’ sale of dog meat soup made with dog carcasses from an unknown source is a violation of Food Sanitation Act Article 44 Section 1 Clause 1. Uninspected livestock products must not be transported, stored, displayed, sold or used for manufacturing or processing of food for human consumption. International coverage of the brutal dog and cat meat trade in South Korea has stained your city’s image. The time to end this tragedy is now. The favor of your reply is requested. It’s time to stop this cruel treatment of these animals.